One of my favourite things to do is to flick through my mountain of cookery books, looking for yummy recipes to make. 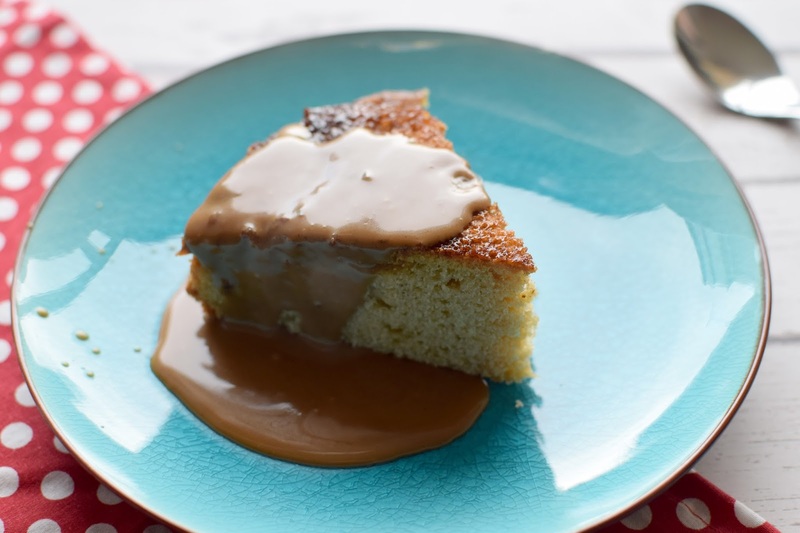 While looking through Jamie's Great Britain I came across this Apple Pepper Pot Cake with Sticky Caramel Sauce, with a few of my own tweaks, I just knew I had to give it a go! I can't even tell you how delicious this is, this sponge is light, the apples are sweet and the caramel sauce will blow your mind! 1. Grease the bottom and sides of a 24cm circular cake tin and line with greaseproof paper. Preheat your oven to 180°C/350°F/gas 4. 2. Put the cubed butter for your sauce into a saucepan large enough to hold all your apple quarters in one layer. Add the caster sugar, molasses and ground spices then gently bring everything to the boil. Turn down the heat and simmer, stirring occasionally, until the sauce starts to thicken. At this point, add the quartered apples and cook for a few minutes, stir occasionally so they don’t catch. 3. Cream together the butter and sugar for the sponge, then add the eggs, one at a time, mixing them in as you go. Fold in half the flour, the bicarbonate of soda and the cider. The mixture might look like it’s splitting, but don’t worry. Mix well, then fold in the remaining flour and stir again. 4. Put the prepared cake tin on to a baking tray lined with greaseproof paper (just in case any hot caramel seeps out during cooking). Spoon the sticky apples into the bottom of the tin in a fairly even layer, along with any of the caramel that happens to come with them. Put the pan with the remaining caramel aside for later, then pour the sponge batter over the apples and spread the mixture until it's even. Put the cake tin and baking tray into the hot oven on the middle shelf to cook for around 35 to 40 minutes. Insert a skewer into the middle of the cake after 35 minutes – if it comes out clean the cake’s ready, if not, just bake for a further 5 minutes. 5. Once cooked, let the cake cool for 10 minutes (no longer or you won’t be able to turn it out). Warm the reserved caramel on a low heat and gently stir in the cream. Go back to your cake then pop a serving plate on top of the cake and quickly and confidently flip it over. 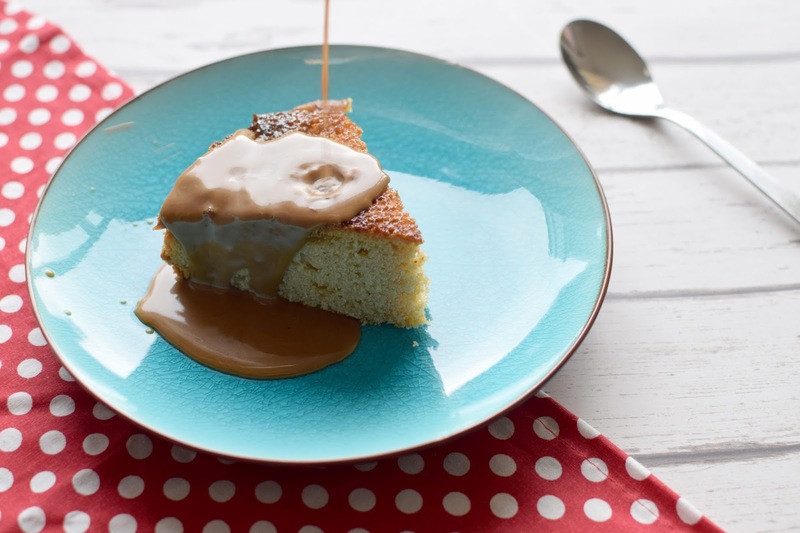 Ease the tin off the overturned cake, then cut into wedges and serve with the remaining sticky, creamy caramel sauce drizzled on top. Oh that looks sooooo good! I love apple cakes. You are tempting me away from my post-Christmas health kick and... I don't mind a bit.